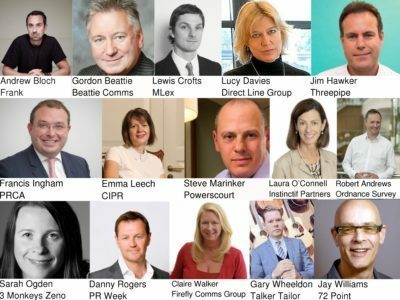 LBC to go National - What this means for media relations - Shout! For media relations, securing broadcast PR opportunities with LBC has always been notoriously difficult, but the rewards are worth the effort. Managing to communicate to such a large and significant audience has often been seen as the equivalent of national coverage even before this latest announcement. Certainly seeing LBC on a radio day schedule is always welcomed by our clients. This will now only strengthen, as LBC is set to go National on DAB from 11th February. LBC started broadcasting in London 41 years ago as the UK’s first commercial radio station. 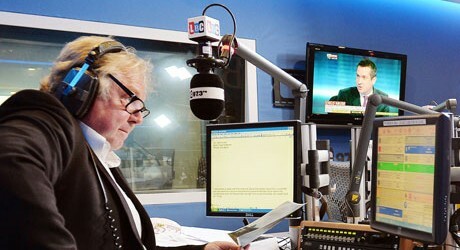 The station has since held the crown as London’s only News and Current Affairs radio station. Once it goes live across the country on the 11th February 2014, the station will become the UK’s first national commercial news talk radio station. Global Radio is Britain’s biggest commercial radio company, and its latest announcement about LBC means that it is now set to go head-to-head with BBC’s Five Live as a national discussion station. To combat the threat from Global, we may see Radio 5 Live shake up and further promote their schedules that already include award-winning broadcasters such as Nicky Campbell, Victoria Derbyshire, Shelagh Fogarty, Peter Allen and Richard Bacon. When LBC changes it’s strapline from ‘London’s Biggest Conversation’ to ‘Leading Britain’s Conversation’ and enters into the DAB market, it will also strengthen Global’s catalogue in the battle for commercial radio supremacy. Currently, Bauer is the biggest competitor to Global and holds stations including Key 103 in Manchester, Kiss and Absolute Radio. Global’s other biggest brands after LBC include Heart and Capital who have already gone national. According to yesterday’s Q4 2013 RAJAR figures, commercial radio reaches 66 per cent of adults over 15, with a total audience of 34.9 million. Global’s reach in the year to the end of the first quarter of 2013 was almost 20m and Bauer Radio recorded 14.4m. The BBC took 55 per cent of total listening with Global taking 15 per cent and Bauer Radio 11.2 per cent. LBC will be available across Britain on DAB digital radio, on 97.3FM in London, on Sky Digital across the UK on Channel 0112, Virgin Media Channel 973 ad internationally online at lbc.co.uk and through mobile apps.